Puppies-4u specializes in and is committed to providing quality pets from our home to yours. Both the happiness of our customers and our puppies is top priority. Because of this, each puppy we offer for adoption is guaranteed to be physically healthy and ready for a life time of love and companionship with your family. Our family, puppies and dogs enjoy playing together in the Missouri Ozarks. Please visit all our pages by clicking on the menu to the left. Thank you and have a blessed day. 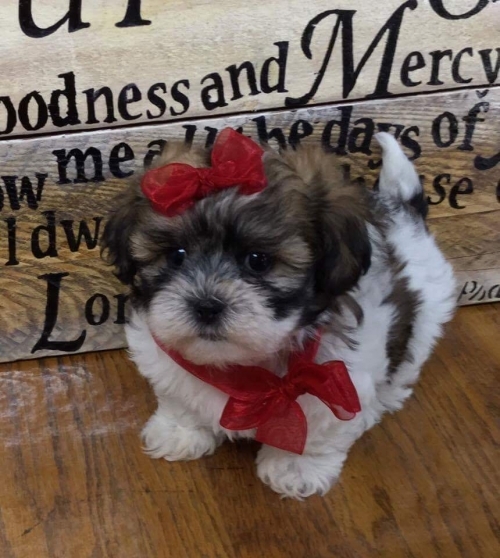 One of our little Shihpoo's!!! One of our little beagles!! !